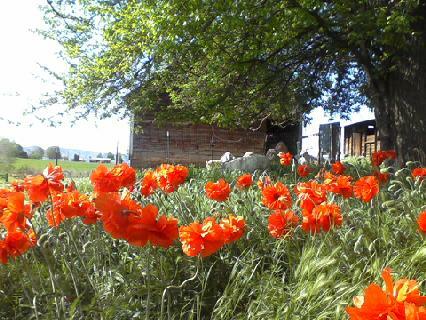 Years ago, I had a plan to raise drought-tolerant herbs and flowers on an acre of land, thinking it would be more sustainable than corn or other crops that need constant water and fertilizer inputs. Emmett is really a desert climate, with only about 12 inches of rain per year, so I wanted to raise crops in keeping with the climate. 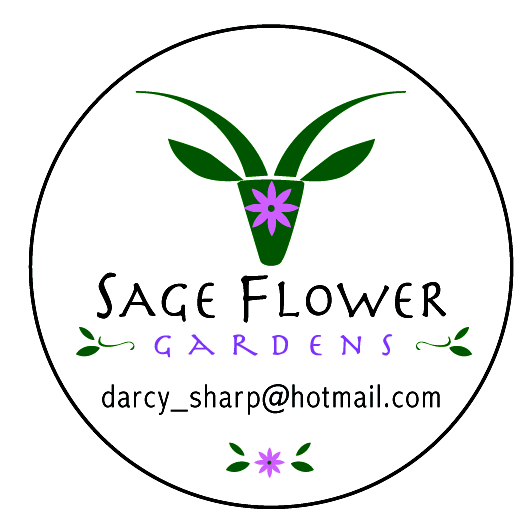 I named my farm business Sage Flower Gardens and marketed organic herbs and flowers at regional markets. 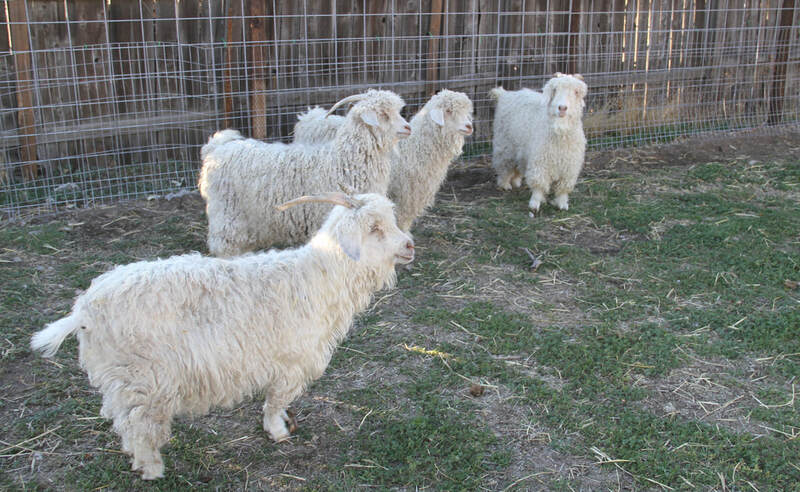 Well, about the same time I bought 5 young Angora goats, because I love goats and had the space for them. I could not do meat goats, because I couldn't raise friends to be sold for meat. 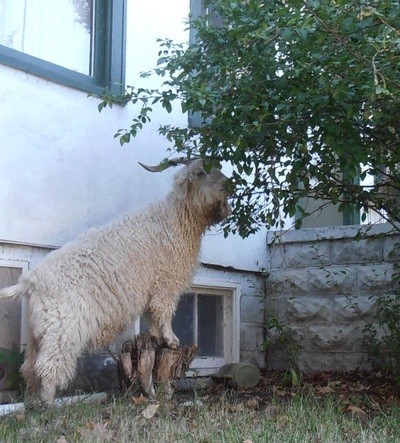 Even in raising dairy goats, you need to get rid of the males to be economically feasible. 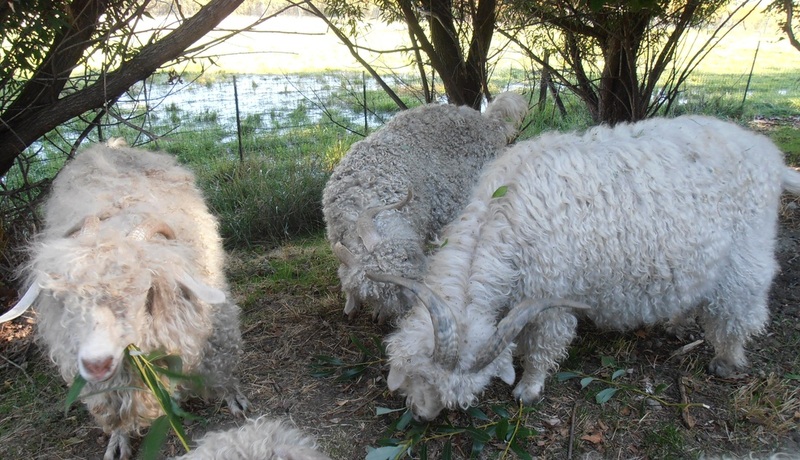 Imagine my joy at discovering fiber goats! Both males and females produce equally valuable hair, and I don't have to sell them to profit off of them! 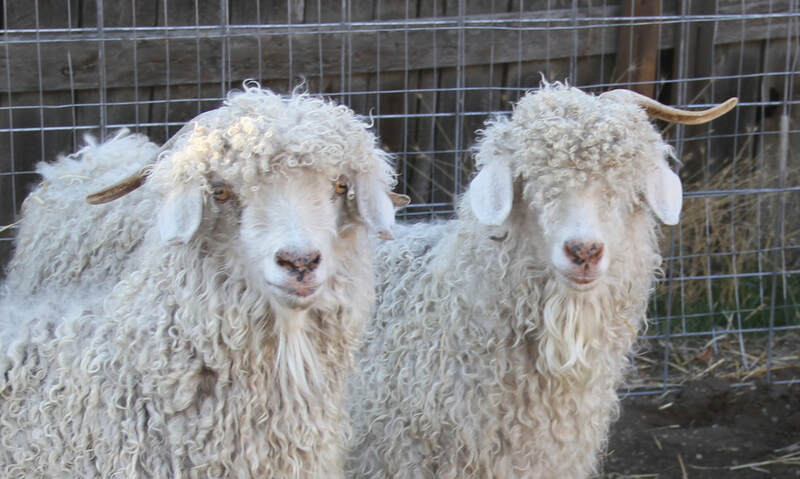 Very soon, the beautiful mohair fiber marketed better than the organic herbs and flowers, so mohair is the product of my small farm business. I enjoy the animal husbandry end of the business the very best. 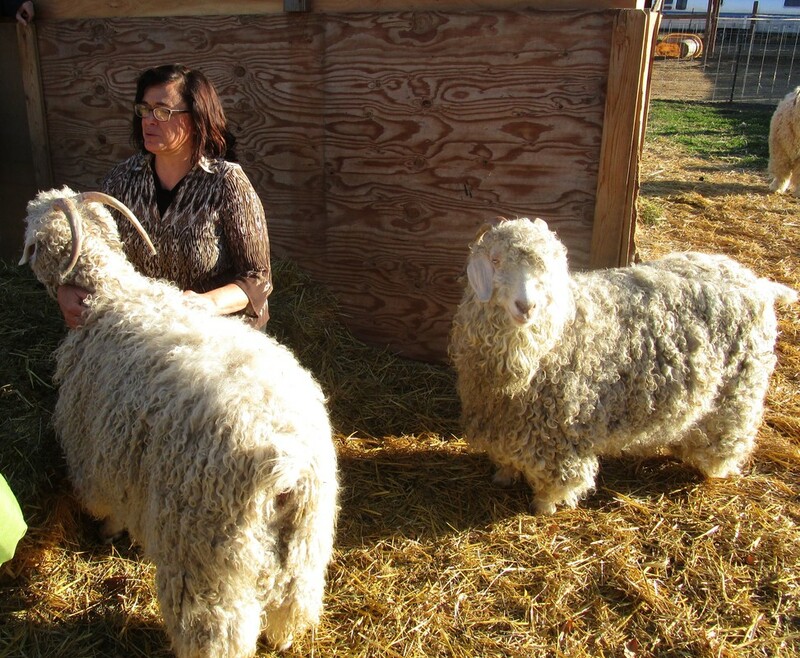 I enjoy working with the fibers--carding, spinning, crafting--but I love working with the animals the best. 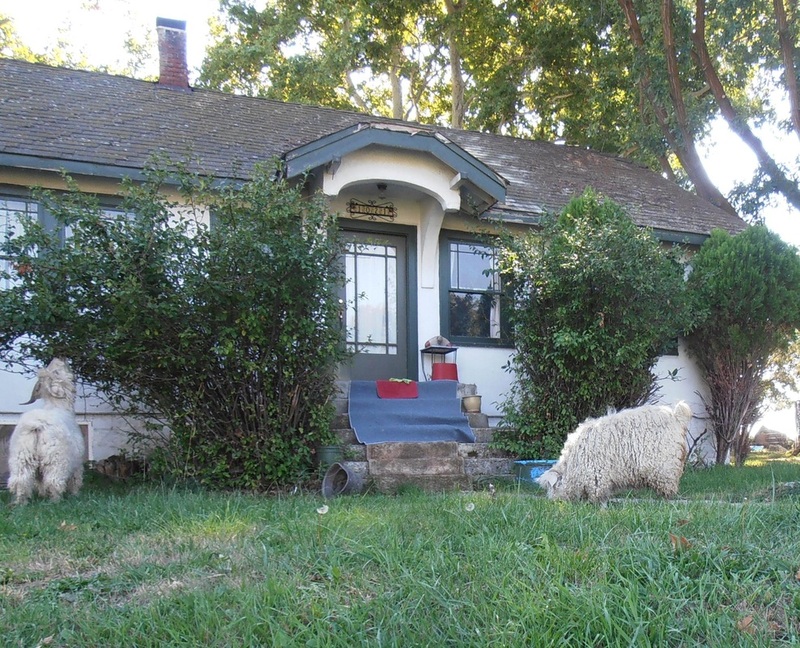 It's so nice when the goats rake my leaves for me--and trim the hedges and mow the lawn. I don't care if it looks ragged, at least yardwork is getting done!